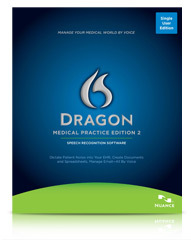 Dragon® Medical Practice Edition 2 includes the specialized vocabularies you need for an optimized speech recognition experience. No Problem. Dragon Medical software is the intelligent solution to speech-enabling your EHR and achieving a more efficient and profitable practice. Learn more about Dragon Medical Practice Edition 2 and how you can tailor today’s technology to understand your language. Challenge your speech recognition solutions and realize a more streamlined approach to quality dictation and accurate patient records. 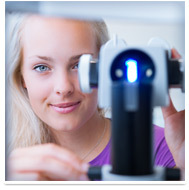 More than 99% accurate out of the box when the correct vocabulary is chosen upon setting up a new user profile. Ability to further customize and refine vocabularies as well as recognition speeds based on your style of speech and preferred terminology. Intuitive capabilities that streamline the process of dictation and can save you measurable time each day on clinical documentation and transcription.